The aromatic sweet seeds of Myrrhis odorata can be used in place of aniseed or fennel seed for flavoring beverages and dishes. Note the seeds are most flavorful when fully formed but still green; see image below. 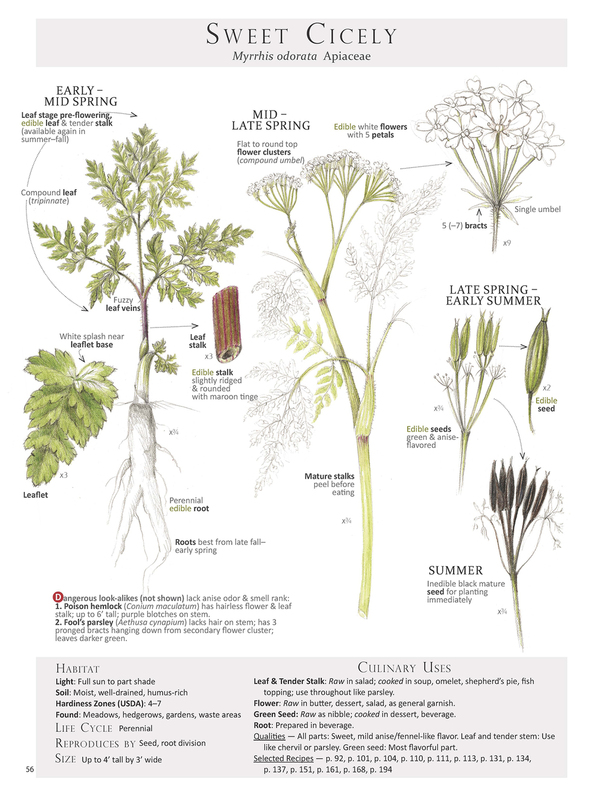 Now in early fall, the seeds of sweet cicely are dark brown and lack flavor. At this point the seeds are good for planting — sweet cicely seeds need to be planted soon after the plant produces them as older seeds won't germinate.